The Renewable Heat Incentive, which is referred to as the RHI, is a new scheme announced by the British government in March of 2011. RHI offers long-term financial incentives to commercial consumers in return for investment in renewable heat technologies. Although Phase I of the scheme focuses on large, commercial users, residential customers who choose to install renewable heat appliances instead of conventional fossil fuel appliances will become eligible for RHI during Phase II of the scheme. The incentive is hailed as the first of its kind for renewable heat. It is intended to reduce British reliance on foreign oil and gas industries and move the country towards a more stable and secure energy portfolio. The Government believes that increased installation of alternative heat systems will further reduce the cost of associated equipment and increase commercial viability of alternative heat technologies. RHI heat sources include biomass boilers, biogas combustion, municipal solid waste processing, solar thermal systems, ground-source heat pumps, water-source heat pumps, and deep geothermal conduction systems. By 2020, the UK expects RHI to provide 11 percent of all heating demands. The Government has committed to meet 12 percent of heating needs with renewable resources by that same year. Phase I of RHI provides long-term tariff support for large industrial users. Industry heating needs currently accounts for 38 percent of all UK carbon emissions. In addition to the focus on the industrial sector, Phase I also provides approximately £15 million for households through Renewable Heat Premium Payments. Phase II of RHI will expand the programme to include additional renewable energy technologies. It will also provide additional incentives for residential customers to install renewable heat technologies. Phase II is expected to be announced in October of 2012 and will coincide with the introduction of the Green Deal. Ofgem E-Serve currently administers RHI. Ofgem is the industry regulator for gas and electric issues in the UK; Ofgem E-Serve was created in 2009 as part of a major reorganisation to administer environmental programmes and emphasise low-carbon economics. The agency participates in the development of offshore wind, FITs, smart meters, and the carbon capture and storage levy. As an integral part of the RHI, the Renewable Heat Premium Payment scheme will be administered by the Energy Saving Trust. The Trust is a non-profit organisation promoting energy conservation and reduction of CO2 emissions in teh UK to mitigate detrimental climate change. It is jointly funded by the private sector and by the Government. The Renewable Heat Premium Payment scheme, or RHPP, is currently funded with £12 million for distribution to Scottish, English and Welsh households that install renewable-source heating appliances. When Phase II of RHI is implemented in 2012, it is anticipated that RHPP payees will be eligible to apply for full RHI tariff support. The Government has not formally announced the precise details of how RHI Phase II will be implemented. Eligibility of RHPP participants for RHI Phase II is not currently guaranteed, nor is all eligible RHI technology guaranteed to be awarded RHPP payments. For example, air-source heat pumps are an eligible renewable technology, but final inclusion in the RHPP scheme will depend on consumer feedback and long-term performance evaluation of the technology. Initial RHPP payments will coincide with the announcement of the Green Deal in late 2012. Both schemes will operate in tandem to facilitate comprehensive, whole-house approaches to heat production and renewable energy generation. The current FITs scheme already encourages homeowners to install photovoltaic solar panels or wind turbines to create micro generator stations at individual residences. Renewable energy capacity growth in the UK has increased by 400 percent since the initial implementation of FITs. The RHI and RHPP are expected to continue this trend. Photovoltaic solar panel and wind turbine micro generators are responsible for the majority of the growth. Solar panels have accounted for 75 percent of all FITs micro generator payments. By comparison, wind turbines account for only 14 percent of FITs payments. 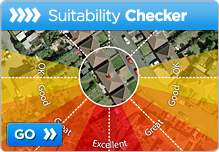 Government figures indicate that more than 44,000 solar panel installations have been registered with FITs. Of these registrations, 38,300 have been for small residential systems. The Cornwall area has over 1,000 solar installations and generates more solar electric than any other region in the UK. Photovoltaic panel micro generators are expensive investments. The purpose of FITs was to provide immediate monthly income from the installations and allow homeowners to decrease dependence upon fossil fuels without tying up personal assets. 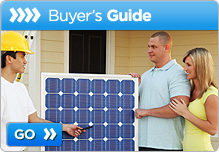 Some companies provide and install solar micro generators at no cost to the homeowner in exchange for FITs payments. 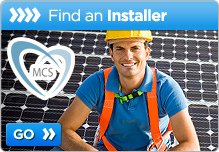 Solar Panels UK can instantly provide quotes from three MCS certified providers and installers to ensure the most cost effective purchase of renewable energy technology. 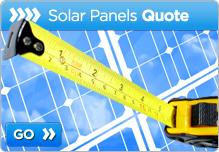 Click the 'Get a Quote' button above to get three free quotes now.